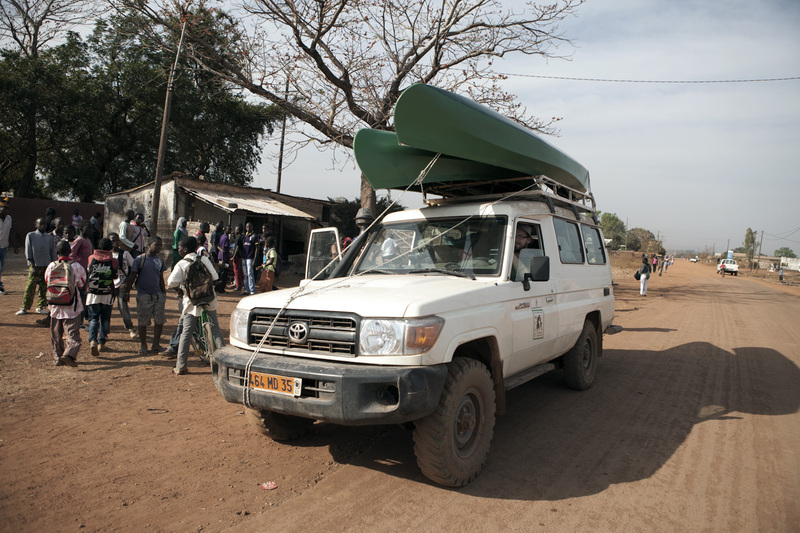 Today is the day – getting ‘The Twins’ (our two Ally 811 canoes) into the river, for the first time on the River Gambia Expedition. Over the last couple of days we rebuilt the Ally 811 canoes so that we could see if all our gear would actually fit into them. After much trial and error – putting the gear in and then pulling it out again, we managed it. The big test will be putting them into the water and hoping they won’t sink with the weight of the gear and the five of us in them! 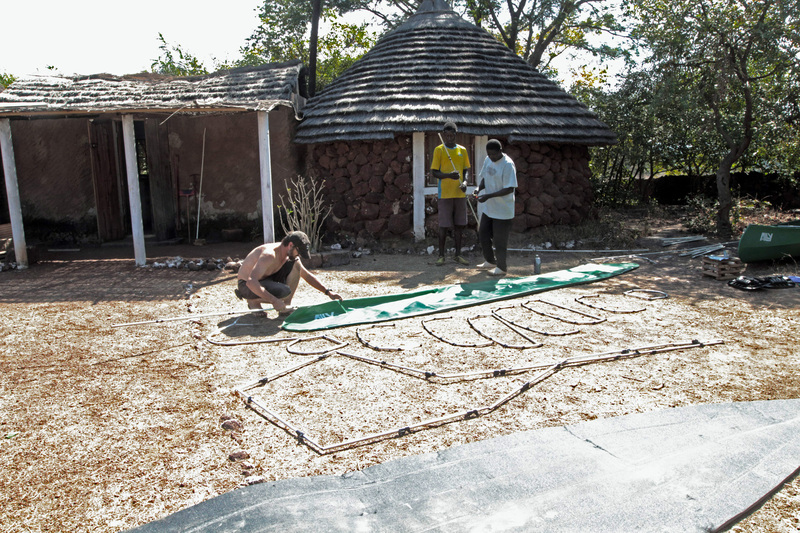 Fortunately for us, in his absence, our gracious host – Peter – had a friend, Henk, staying at the house in Kedougou. 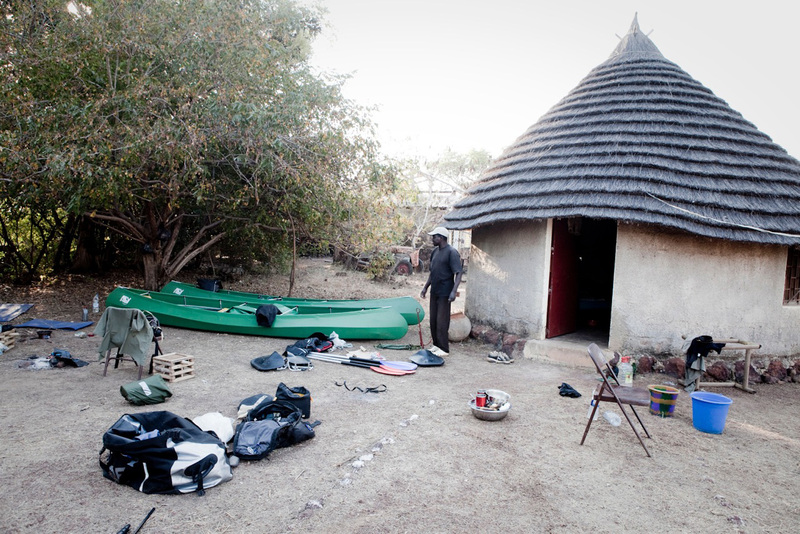 Henk also had a 4×4 vehicle, which he very kindly offered to let us pile our two canoes on top of, pack our gear inside and then take us down to the riverbank. Thank you, Henk! 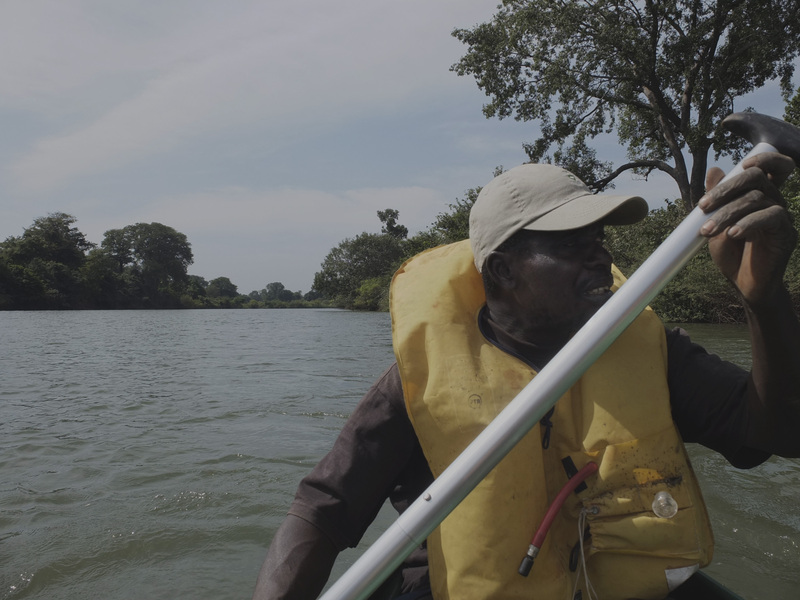 As mentioned in a previous post, along with the four expedition team members, we would be taking Yousef – a Malian fisherman – as our guide for the first 100km of the River Gambia, to Mako. 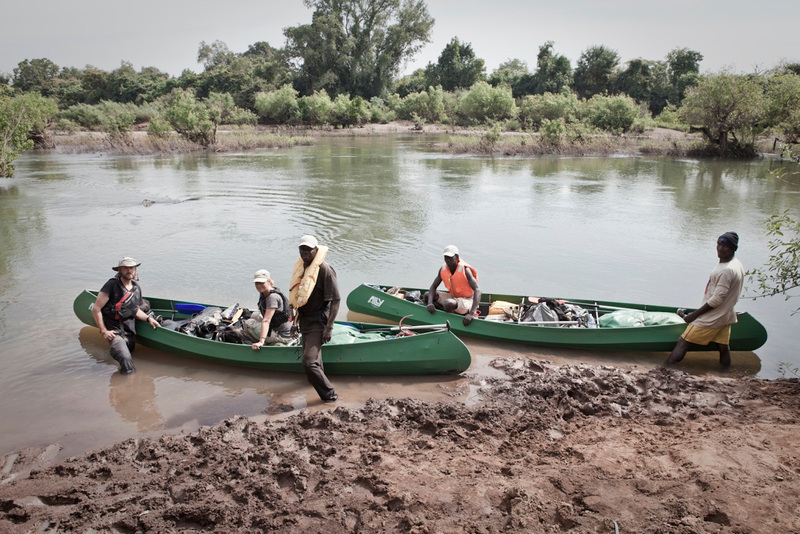 Florio and I got into one canoe with Abdou, with Ebou and Yousef getting into the other one. 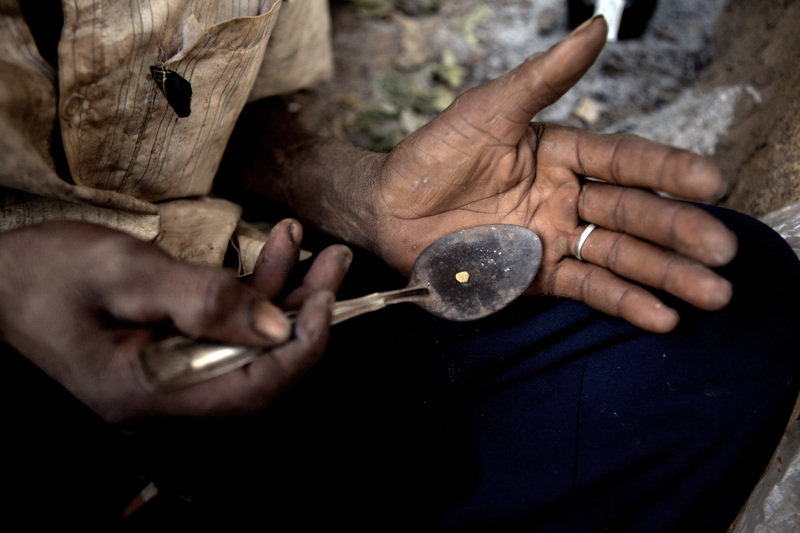 We assumed, as Abdou was the older – ‘most experienced’ – fisherman, that we would be in good hands. 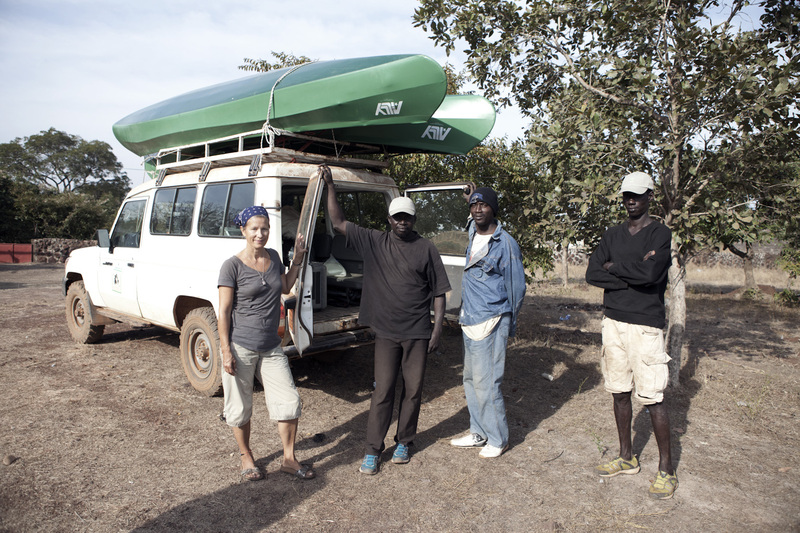 It was decided that Florio and I would paddle with Yousef and Abdou and Ebou, who had fished together for years, would share the other canoe – at least they were used to each others style of paddling. 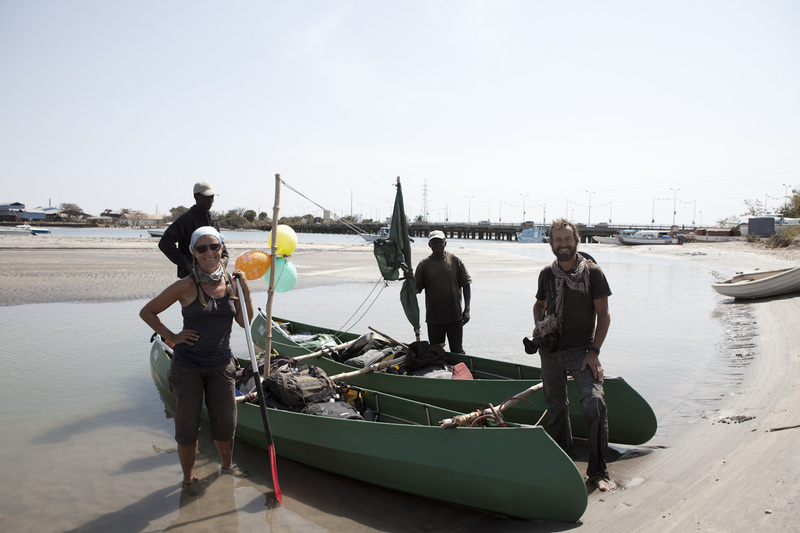 And, after witnessing Yousef’s adeptness in the rapids, we felt a wee bit safer with the albeit slightly bonkers Malian fisherman (his unique way, in dealing with hippos, would soon be revealed). A little later on, we had our first hippo encounter – despite the fact that we didn’t see it – Yousef heard it, under our canoe! ‘Hippo watch’ – These binoculars were glued to my eyes for weeks! The moment we scared the hippo – PARENTAL WARNING: there is some bad language on here! As mentioned, Yousef had a unique way of dealing with the hippos: a combination of firing off small rocks from his handmade catapult – his aim was pretty spot on too. You watch that hippo duck! – accompanied by loud squawking and noises that sounded like an agitated baboon!! He also used the fog horn that we had bought in Kingston, Surrey, before we left the UK…which did make the hippo submerge – for a nano-second – and probably completely pissed him off more than it already was! 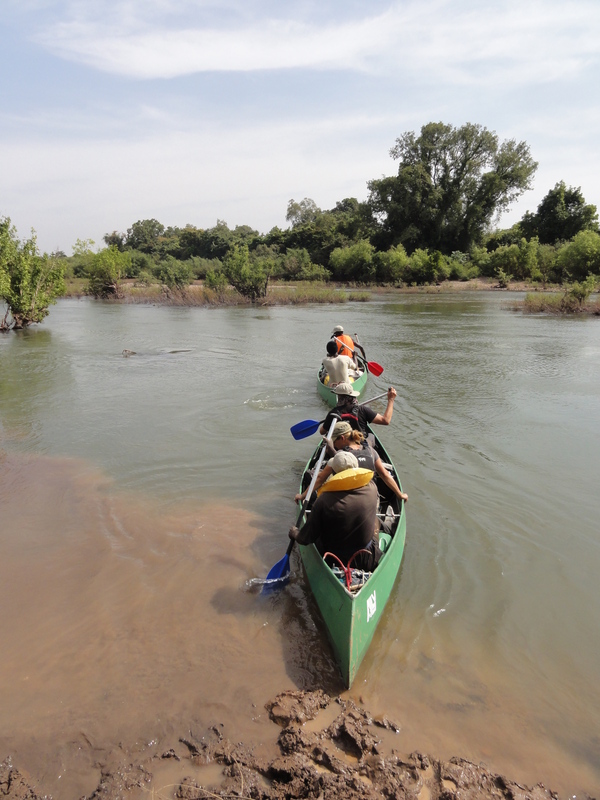 We eventually inched away from the rocks, with the canoes – ‘donding, donding’ – along the river bank, hugging the bank as we went, making our way through the trees, the whole time. watching out for the hippo. H – armed with the fog horn!! Image from film footage. The scariest thing, as we edged our way along the bank (aside from when the huge hippo initially jumped out of the water, from its resting place behind a rock), we couldn’t see the hippo, as it had submerged for quite a while. We had no idea where the bloody thing was. Then Yousef suddenly shouted ‘natah, natah!’ – this time we knew what he meant, and what to do! I looked around to see that we had actually gotten past the hippo but now it was coming towards us again! I have never paddled so fast and hard in my life! Thankfully, the hippo soon got bored – or it was just seeing us off its territory – because when I dared to look behind me again, it was way up the river. Still looking in our direction though. Ebou: “that is the first hippo we (he and Abdou) have ever seen” ??! 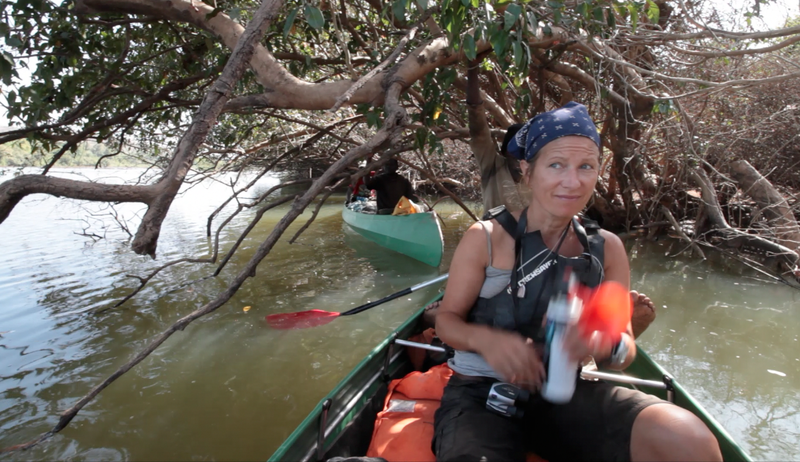 We’d had months of pre-planning this journey and a lot of that time included discussions with them, via email and skype, about the wildlife on the River Gambia – i.e. HIPPOS! Only to be told ‘it is no problem’. They forgot to prefix that with ‘we have never seen hippos but…’! 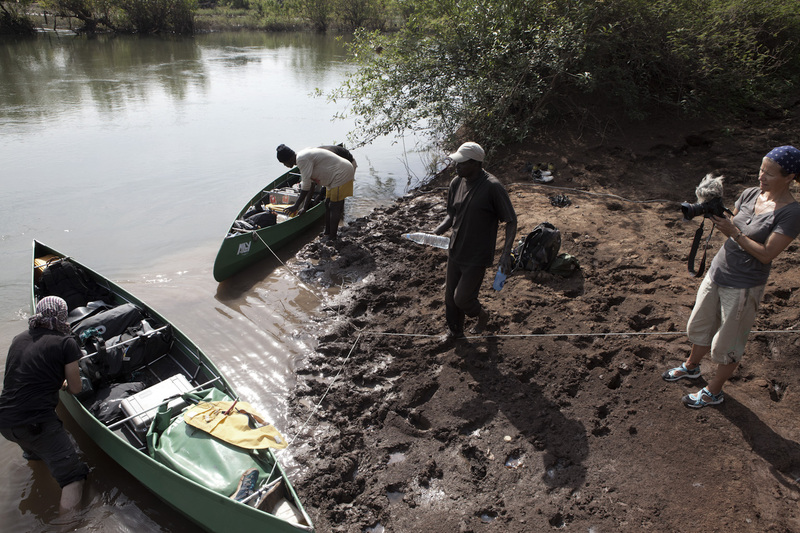 There were many lessons to be learned, along the way, on our River Gambia Expedition. This entry was posted in Adventure, Carbon footprint, Culture, Documentary, Environmental, Expedition, Fouta Djallon Highlands, Guinea-Conakry, Mali Ville, Photography, photography, Photojournalism, Portraits, River Gambia, Senegal, The Gambia, tradition, Travel, West Africa, Youtube and tagged "River Gambia Expedition 2012 -1000km source to sea Africa odyssey", Ally 811 canoes, canoeing, documentary, Helen Jones-Florio, hippo's, jason florio photography, paddling, photojournalism, Senegal, travel, West Africa. Bookmark the permalink. Reblogged this on One Hour Photo Show. Wow what a great blog guys. I had the same thing. Everyone told the hippos were not a problem but they were lots of times! But this one is close, it always looks like its further away on video. But throwing stones is a pretty bad idea.. The horn is a great effective idea! I wish I also had that idea..:) our worst encounter was being lifted in the kajak by a hippo. But is was probably not noticing we were on its back because we’re still alive. Great blog and much respect for your journey guys!! Thanks Kev – yes, I agree…a catapult is an even worse idea! 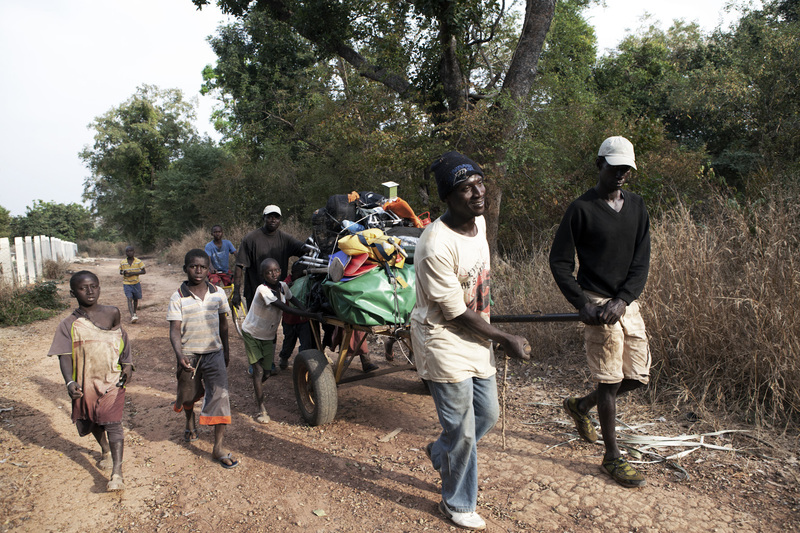 I Malian fisherman was slightly bonkers and, I suspect, pretty scared too – he had been attacked twice before and lost a friend who was attacked by a hippo. I’m sure we paddled over more than one too…it was scary enough knowing that we had but to have it come up and raise your canoe out of the water? Bloody hell! 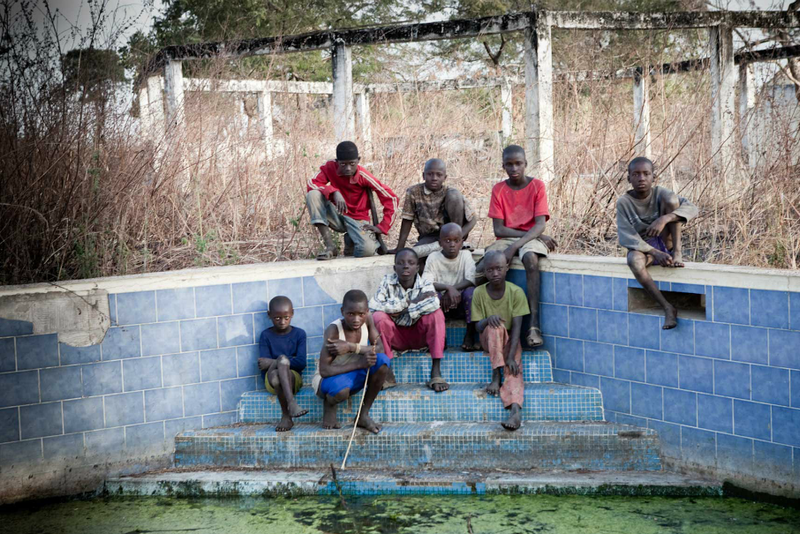 Jason Florio’s prints for our donors – taken whilst on the River Gambia Expedition – are almost ready to ship! Follow us...come on, jump on board! 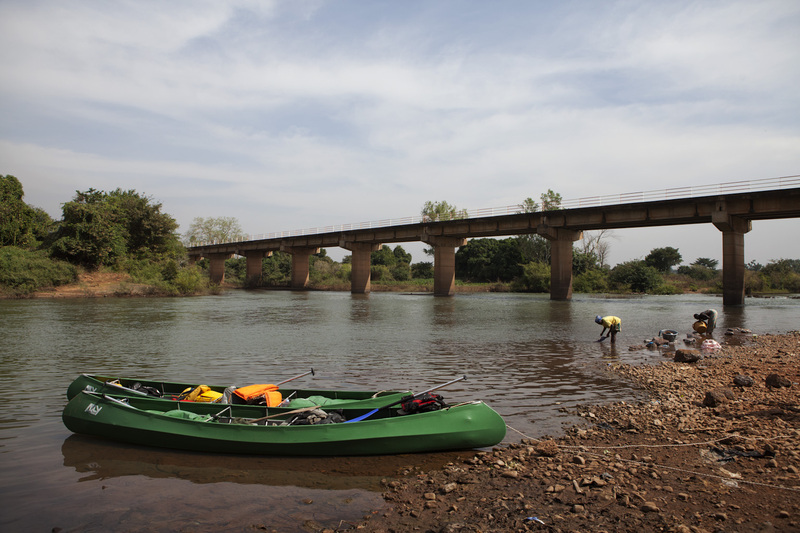 Updates, images and everything else that goes with a 1000km river journey through West Africa.